WINTON WOODS, OH (FOX19) - A mother is outraged after her special needs son wandered away from his school and walked home. 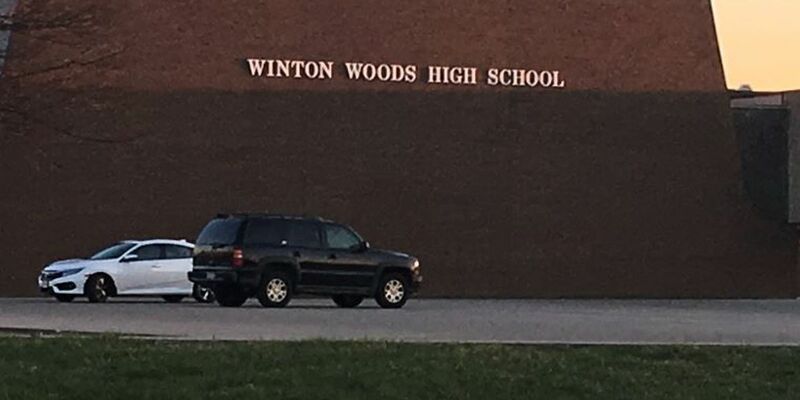 The student is a senior at Winton Woods High School and is supposed to have a teacher's aid with him at all times, so his mother is wondering how he was able to leave without any supervision. Carla Williams said her son, nicknamed "Trey," is still traumatized from walking home and doesn't want to go back to school. "He's had a seizure ever since then back to back," said Williams. The 18-year-old has autism and epilepsy. On Tuesday, Carla said she was waiting for Trey to come home and became worried when he didn't show up 40 minutes after school let out. "I happen just to go to the front door and I see him walking up my street with his book bag on his back. His jacket on his arm, and he was shivering, and he was confused," she said. With more than a two-mile walk and temperatures in the 20s, Carla said she became even more frightened. "He just was looking at me, just staring off, and I noticed his hands were blue," she said. He was taken to Children's Hospital where he stayed the night. Now she wants answers to figure out how this happened and to make sure it never happens again. "I immediately called transportation and asked why did my son walked home and they told me Trey never got on the bus," she said. FOX 19 NOW contacted the school, and the spokesperson said she can only say that the incident is under investigation. Carla said this isn't the first time Trey wandered from the school. She said three years ago he got lost in the school during a fire drill. "I know the school can do better about watching over these children who have special needs," she said. While the school will not comment about the ongoing investigation, Carla said the superintendent reached out to her for a meeting.